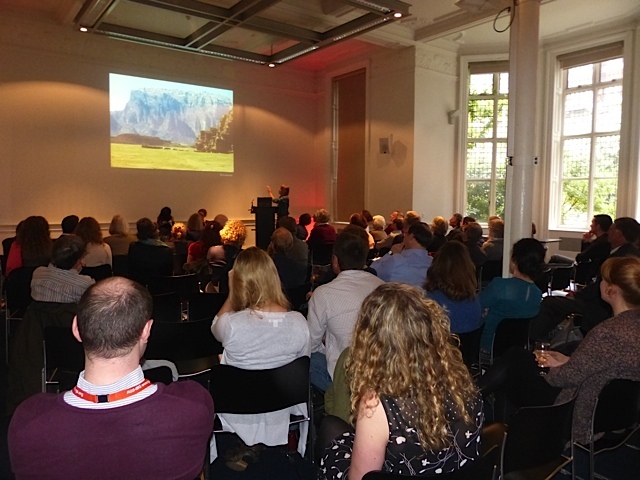 On 1 May this year I was invited to address an audience at the RGS (Royal Geographical Society) in London on the theme ‘Discovering Jordan’, for potential travellers to that fascinating country. Founded in 1830, the RGS has funded some of Britain’s most intrepid explorers including Darwin, Livingstone, Stanley, Scott, Shackleton and Hillary, so it was an honour to speak there, alongside Tony Howard who with his partner Di Taylor developed adventure tourism in Jordan. Here’s a photo of us both in action. The audience at the RGS event ‘Discovering Jordan’ © n.o.m.a.d.s.